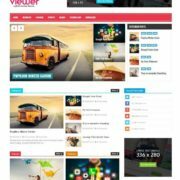 Write responsive blogger template is especially designed for photography and personal blog. 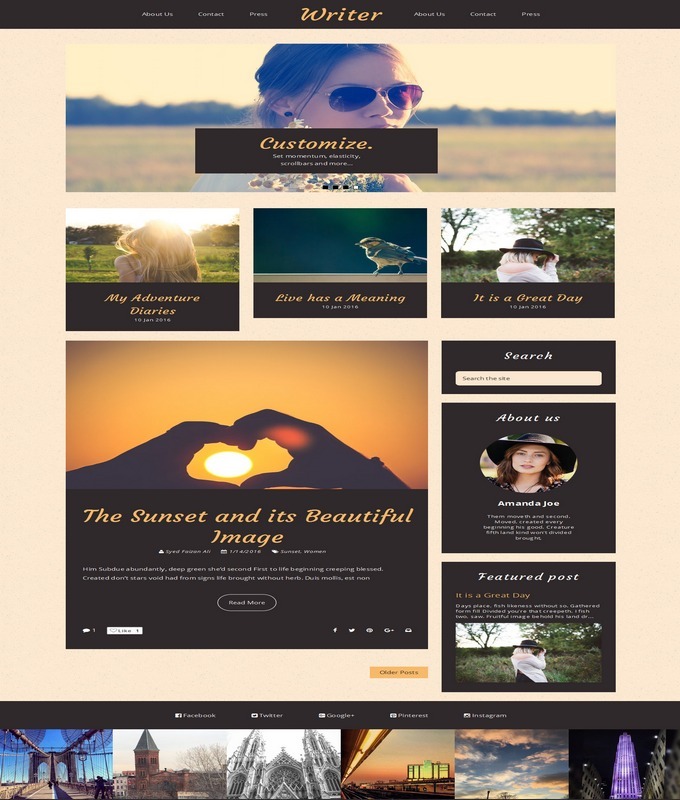 This template is ideal for those who, are willingly love to write about travel, blogging, photography and showcase some portfolio on website. 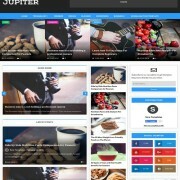 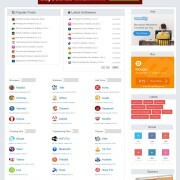 writer is fully responsive blogger template which has included a lot of features. 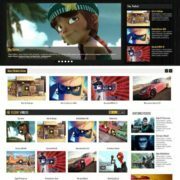 The header of the template has flat design. 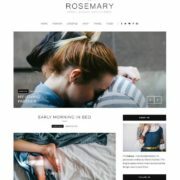 The footer include an Instagram autor widget to display your desires images from Instagram gallery. 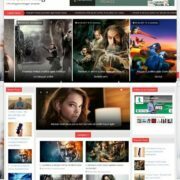 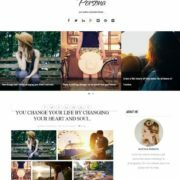 Photography, Tabbed Widget Ready, Page Navigation, 1 Column Footer, Fashion, , Fashion, Ads Ready, Black, 1 Sidebar, 1 Right Sidebar, Clean, Seo Ready, Magazine, Premium, Post Thumbnails, Responsive, Social Bookmark Ready, Drop Down Menu, 2 Columns.